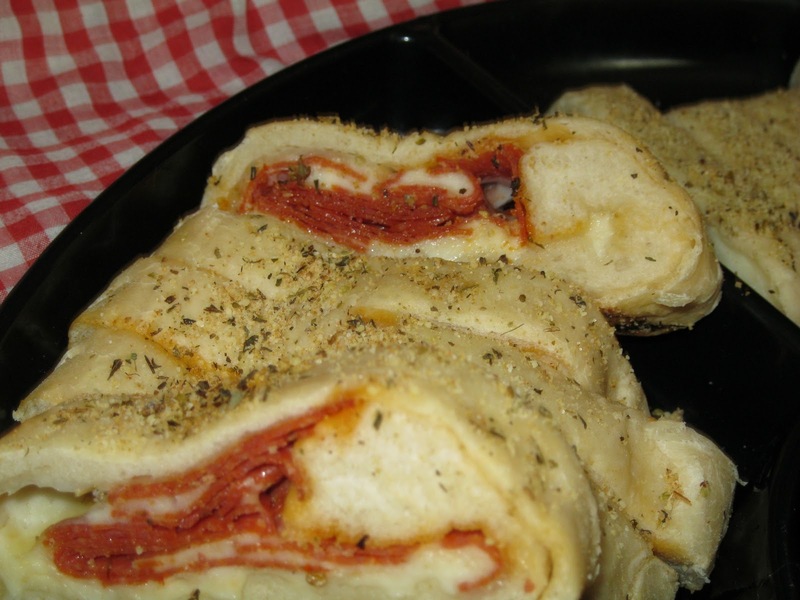 This is so yummy and very versatile for your family. 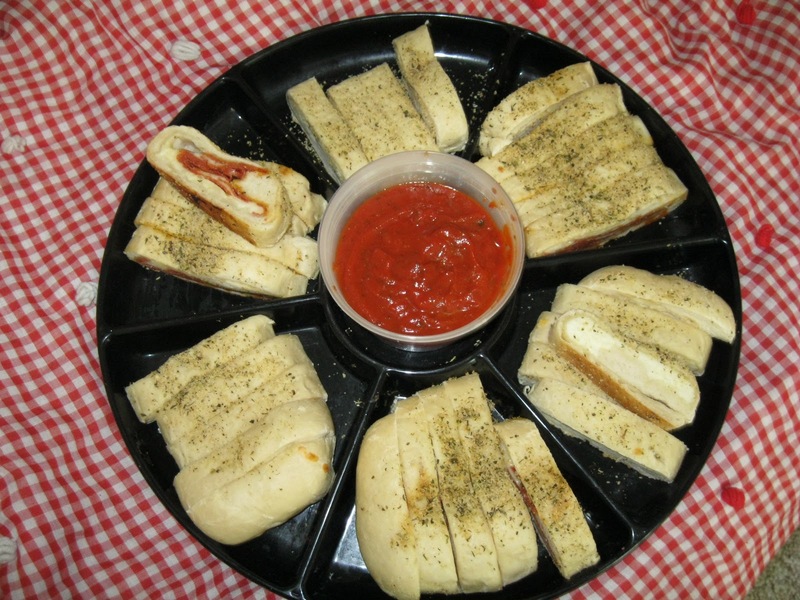 Perfect for serving as bread sticks to dip in marinara sauce on game day or cut into bigger pieces for dinner. 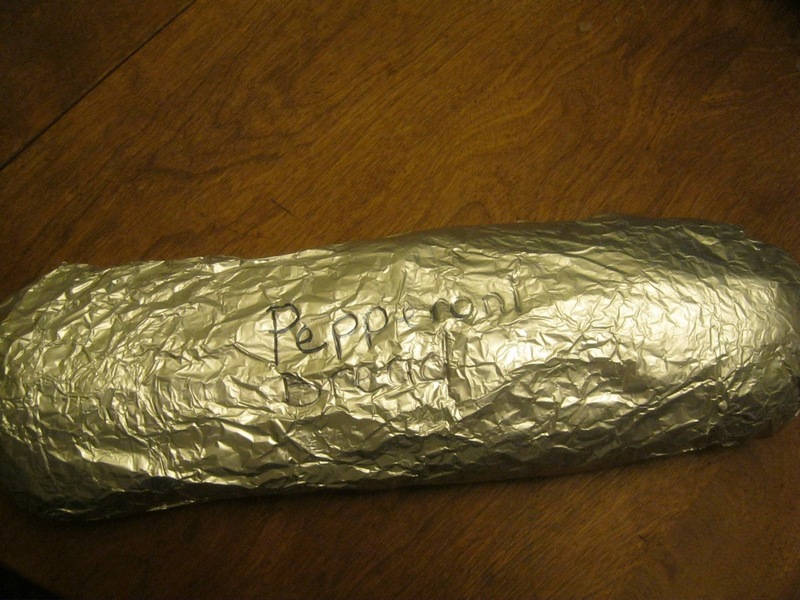 I highly recommend you go ahead and make at least two or more if you have the freezer room. One to bake up that night, the others to store for a quick dinner or to take to a party. Change the toppings around to suit your taste. 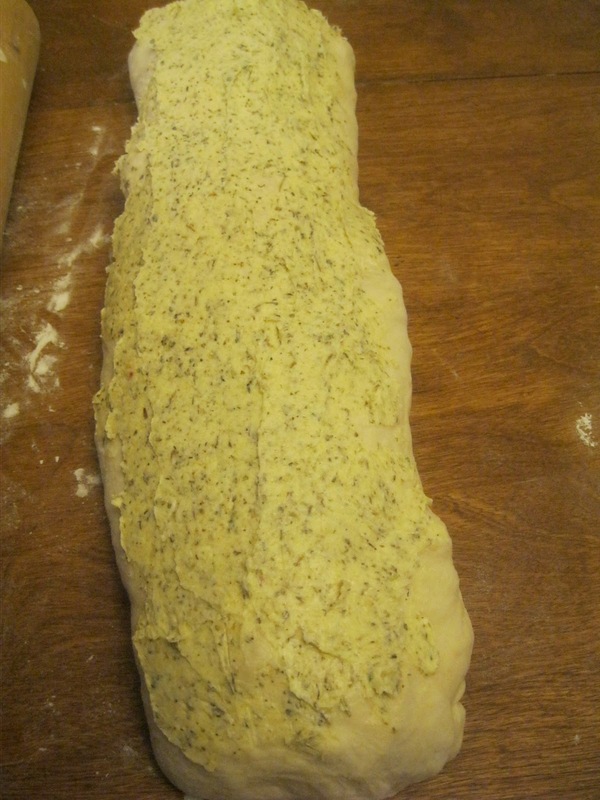 You can choose between homemade bread dough or store bought frozen bread dough. Want to whip a few out even faster? 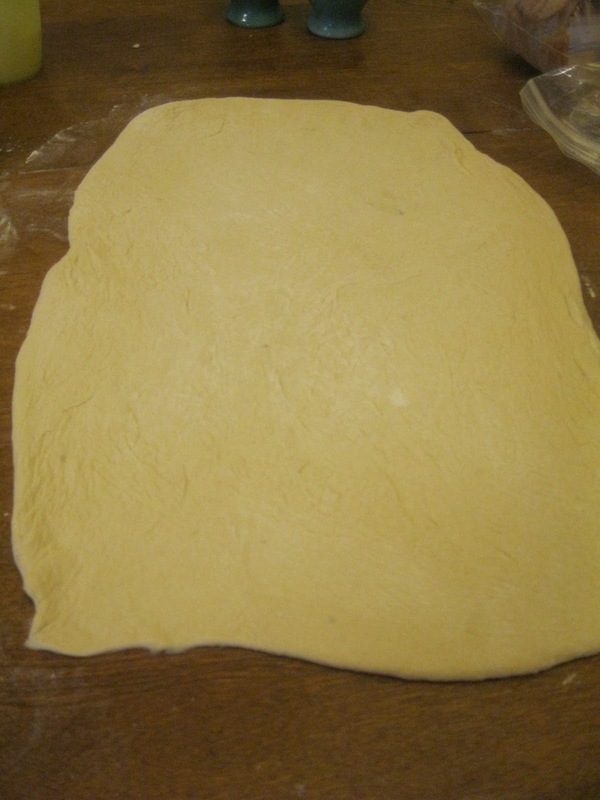 Buy the Pillsbury style pizza dough that you just unroll and you'll be ready to go! 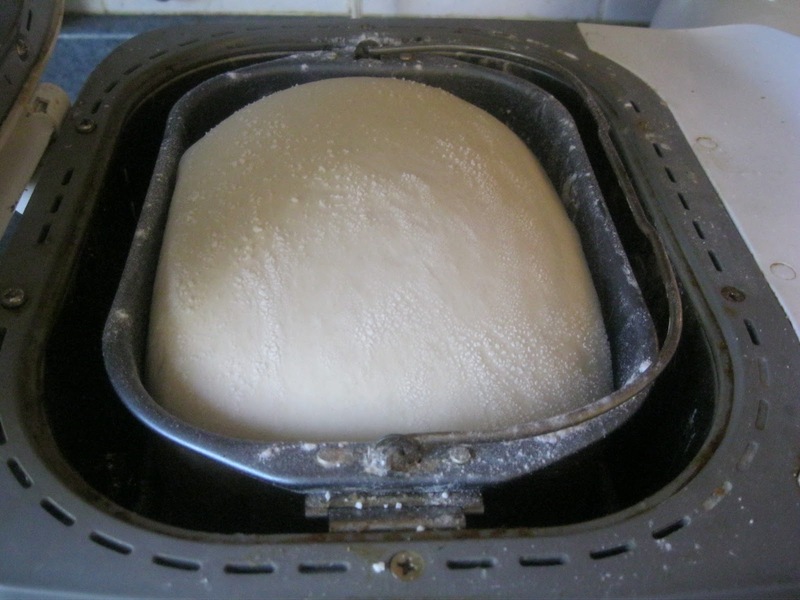 I saved money by making bread dough in my bread maker. I made a 2 lb. loaf and made 2 breads: One Pepperoni roll and one Ham & Cheese Braid. Here's a tray I made a few months back, for the boys to take to a football party at a friends house. 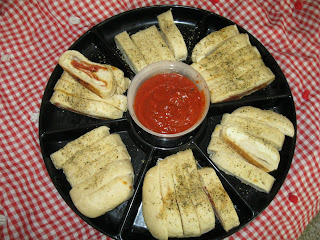 I made 1 cheese bread and 1 pepperoni bread cut into sticks for dipping. They went fast. 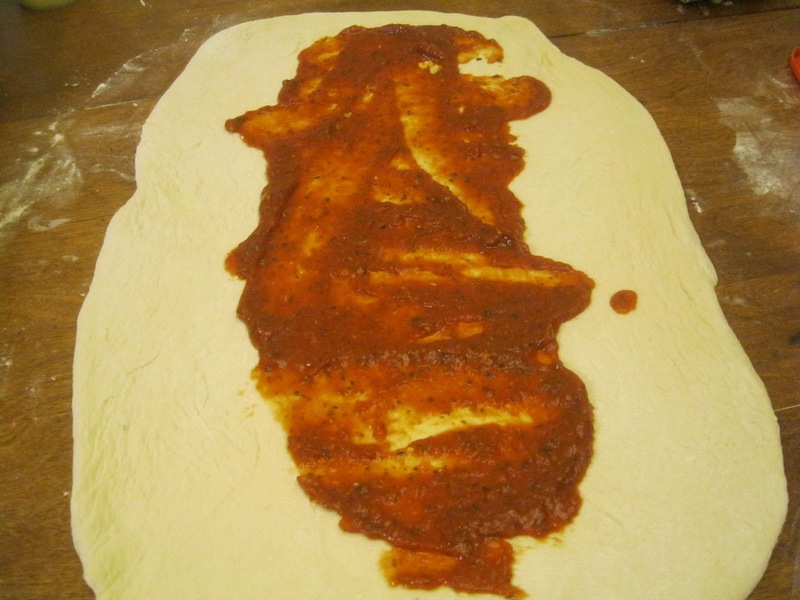 Spread dough with pizza sauce leaving 1 inch edge of dough on all sides. 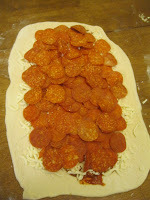 Top with cheese and then pepperoni. Starting on one long edge, roll up the dough cinnamon roll style. Tuck under each end to seal the dough. You can do this next step now or wait and do it right before baking: In small mixing bowl mix butter and garlic bread seasoning. Spread onto top of pizza roll. To Bake right away: Cut a few slits along top for venting and bake in 350 degree oven for 25-30 minutes or until bread is baked and golden brown. 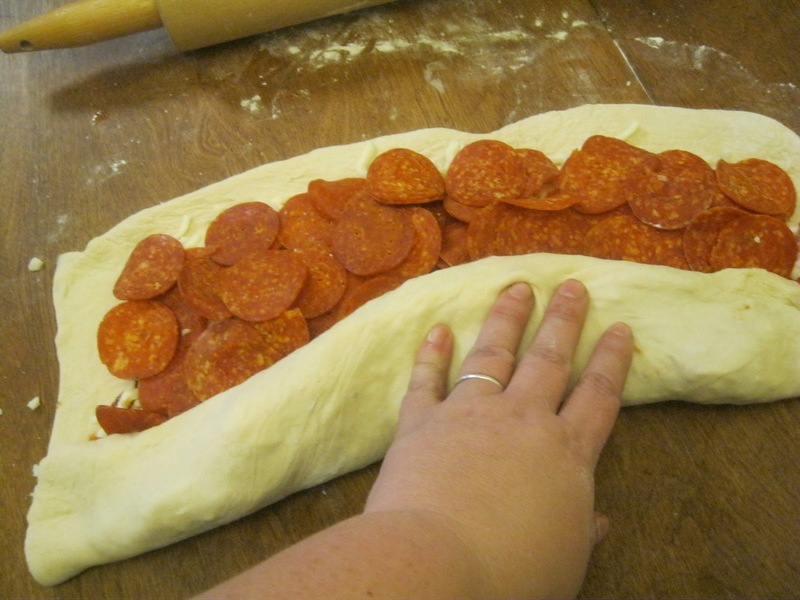 (May bake in less time if using the pillsbury dough). 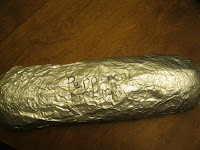 To Freeze for later: Wrap bread in plastic wrap and then wrap in aluminum foil. 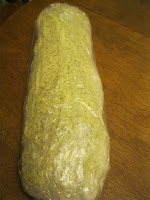 Label and freeze for up to 4 months. 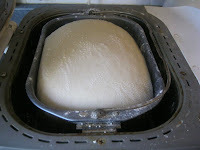 To Bake: Remove bread roll from freezer and allow to thaw in fridge. 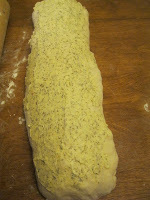 An hour or so before baking place bread dough on greased baking sheet and allow to rise on counter. Bake as directed above.